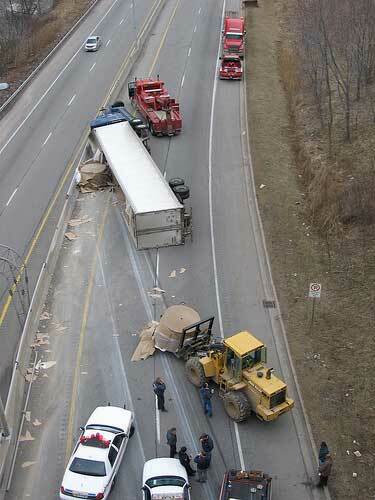 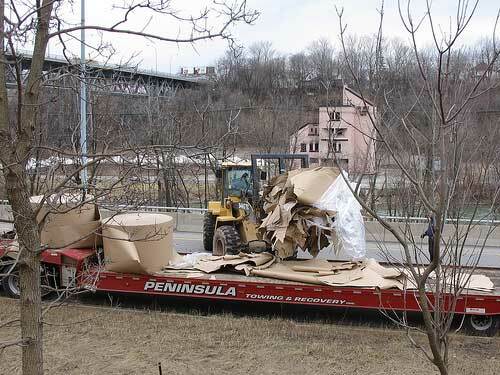 A truck carrying a load of paper rolls overturned on March 24, 2006 on 406 North in St. Catharines, Ontario. 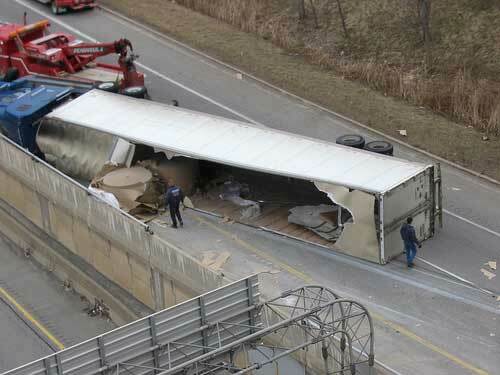 The northbound lane was closed for 5 hours. 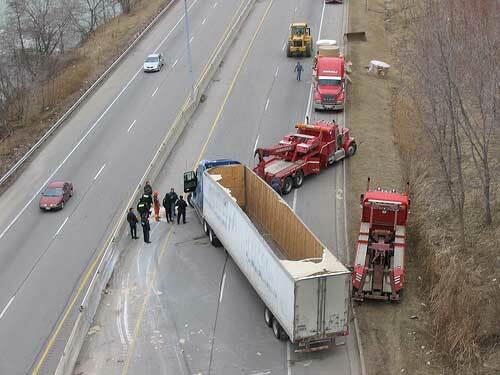 The driver was not injured and no other vehicles were involved. 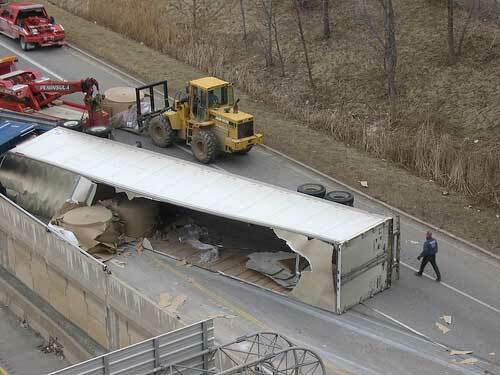 The driver had the presence of mind to tape over the truck’s identifiable markings.